Sign up for Broadjam today to follow B*Reece, and be notified when they upload new stuff or update their news! 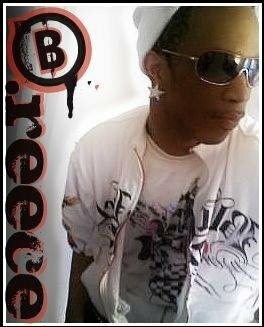 My name is Maurice L. Bennett, stage name "B.Reece". I'm a singer, rapper, and song writer. I'm currently attending Tidewater Community College (soon to transfer to Georgia State) so I can major in "Music Business". My "Plan A" is to make it as the talented artist I am.... My "Plan B" is to be an A&R, I've been told I have an eye for talent not to mention music as well. My music is a "Feel Good" Industry music, basically it speaks for it's self, check it out and let me know what you think.